Head-on collisions happen when a vehicle crosses the center line or median and crashes into an approaching vehicle. Head-on collisions can be quite dangerous, and compensation may be available if you've been injured in this type of accident. Failed passing maneuver: On rural undivided two-lane roads, a failed attempt at passing another vehicle is one of the most common causes of head-on collisions. Tight curves: Roads with sharp curves can increase the risk of a head-on collision, especially if the driver is inexperienced or driving too fast for the road conditions. Distracted drivers: Drivers who are texting, making calls, adjusting the radio, or tending to a child instead of focusing on the road may accidentally drift into another lane. Drug or alcohol use: Impaired drivers often drift into the wrong lane, increasing their risk of head-on collisions. Fatigued drivers: In today's busy society, drowsy driving is a serious problem. When people don't get the sleep they need, their ability to drive safely suffers. A second or two of nodding off and drifting into the wrong lane is enough to cause an accident. Defective auto parts: Faulty power steering, defective tires, or other vehicle malfunctions could also result in a head-on collision. In this case, the manufacturer of the faulty part would have liability for the resulting injuries. To keep vehicles from drifting into the opposing lane, state and local governments have tried installing centerline rumble strips, providing wider cross sections on two-lane roads, and adjusting road width to create a buffer median. To reduce the risk of crashing into an oncoming vehicle, they've tried instituting alternating passing lanes at heavily trafficked locations, and installing median barriers on multi-lane roads with narrow width medians. None of these remedies has been completely successful at preventing head-on vehicle crashes. For a driver, the best way to avoid a head-on collision is to remain alert and focused on the road at all times. If you notice another driver coming at you, never steer to the left and move over the center line or into the oncoming traffic lane. The best course of action is to quickly survey your surroundings to find an open shoulder or area with soft bushes. Reduce your speed, then steer to the right as smoothly as possible. If you quickly jerk the wheel, you risk losing control of your vehicle and rolling. Whiplash, with associated symptoms such as headaches, dizziness, neck stiffness, and numbness in the affected area. Spinal cord injuries, ranging from a herniated disc or cracked vertebra to permanent paralysis. Concussions or other forms of head trauma. Fractured ribs due to the body hitting the steering wheel or airbag. Abdominal injuries affecting the liver, spleen, kidney, or diaphragm. Foot and leg injuries, such as broken bones or a torn ACL. Amputation of limbs following a particularly serious collision. While it's possible for injured persons to recover from many of these injuries, others will likely result in permanent impairments that require ongoing medical care or limit future earning potential. 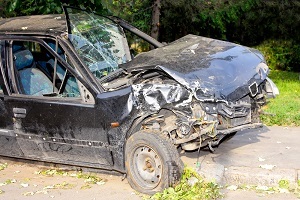 If you've been injured in a head-on collision due to the fault of another driver, you're entitled to compensation for your medical expenses, lost wages, and pain and suffering. However, insurance laws can be quite complex and companies are often in no hurry to process your claim. To get the compensation you need to move forward with your life, you'll want to hire an experienced personal injury attorney to advocate on your behalf. It's best to seek the services of an attorney as soon as possible, since relevant witness testimony and supporting evidence as to the severity of your injuries will become harder to locate as time passes. The car accident attorneys at Rechtman & Spevak are committed to helping accident victims pursue fair and timely reimbursement for the damages they've suffered. Call 404-355-2688 or fill out our online contact form to learn more.